Stella Maria Sarah Miles Franklin had her first book published in 1901. It was called ‘My Brilliant Career’ and in 1979 it was made into a movie with Judy Davis in the role of the writer. The last shot in the movie is of Ms Franklin posting her novel, wrapped in a brown paper parcel, from a post box in the Australian outback to a publisher in Edinburgh. A caption tells you it was subsequently published and that Miles Franklin, as she called herself, went on to become a major Australian novelist of the 20th century. This is the story we’d all like to happen. It’s a myth. The real story is that she gave the novel to a friend, who was a famous writer and poet, and that he recommended it to his publisher and then it was published. When I saw ‘My Brilliant Career’ I had just finished my own first novel and was wondering, as you do, how I could get it published. I didn’t know anyone in publishing. I didn’t know anyone who was a writer. Not a real writer. Everyone I did know, who knew anything about getting published, or pretended they did, told me you had to have an agent. But of course I didn’t know any agents. So I found the end shot of ‘My Brilliant Career’ quite inspiring. I went straight back to my flat in Manchester and looked for some brown paper. Fortunately it was too late to post. Midway through the night I suddenly remembered I had a friend who had written a book about global capitalism. He wasn’t a writer, as such, he was an academic. But he did have an agent. The agent’s name was Michael Sissons and he was one of the principles of A.D.Peters who were famous literary agents, now known as Peters, Fraser and Dunlop. He didn’t do fiction – but he knew people who did. One of them was called Pat Kavanagh. I had no idea that she was famous and that she was shortly to become even more famous. I phoned her up. I mentioned my friend. She said, send me the manuscript. That’s when I posted the parcel. Some weeks later, she phoned me back. She said we should meet up. Of course, I had to do a rewrite, you always do, but she took the book on and she sold it first to Doubleday in the States and then to Andre Deutsch in the UK for a combined advance that was then about triple my annual salary as a journalist. And the moral of this story…. Well you can write that yourself. 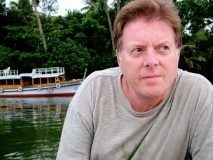 Paul Bryers is a writer and filmmaker, specialising in factually-based drama and documentary. He teaches the Advanced Fiction and Creative Non-Fiction modules on the MA Creative and Critical Writing at the University of Winchester. 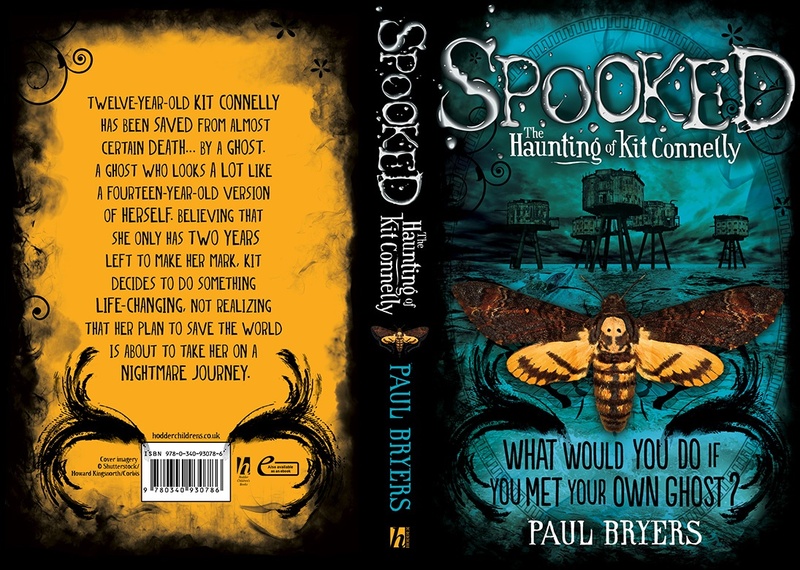 We’re really pleased to hear Paul’s children’s novel Spooked has just been shortlisted for this year’s prestigious Phoenix Award. This entry was posted in Guest Bloggers and tagged agents, Paul Bryers, publishing by Kath Whiting. Bookmark the permalink.